CONGRATULATIONS JANUARY GRANT RECIPIENT, STEVEN KOST! Click here to learn about our other January grant recipient, Nancy Cook. Congratulations to Steve Kost on a successful grant application! I am a combat veteran of the US Navy Seabees. 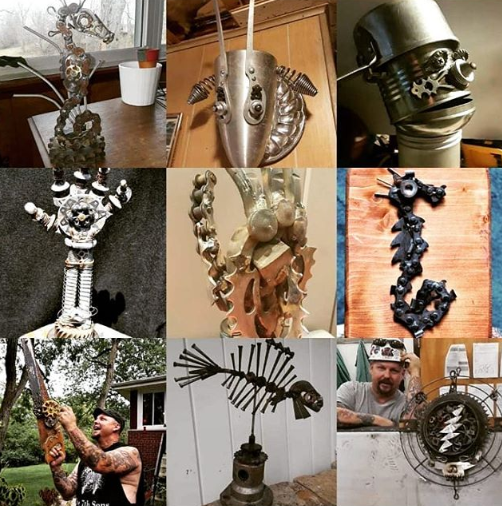 I started doing scrap metal art as a form of therapy to focus my excessive energy on something positive. I have been making my own pieces for a while and recently started showing them. I am very grateful for the people that appreciate my art. I use discarded objects and rusty industrial items to bring my ideas to life. Sometimes I can spot a discarded object that is just begging to be turned into a face or an animal. I would like to use the funds to help acquire materials for my next couple of projects to be displayed in exhibitions for veterans. I am grateful for the opportunity to show what a military veteran can do. 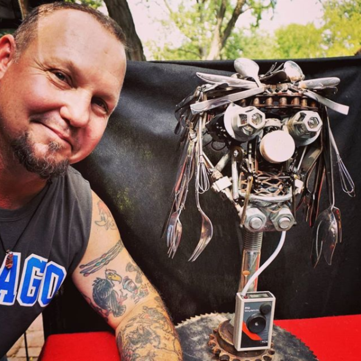 In addition to my scrap metal art I am also the drummer of the Chicago band The Seventh Sons. I enjoy creating music and art. Integrity: Arts and Cultural Association is pleased to assist in funding Steve's proposal! We wish him the best in his future artistic endeavors. "Fear not... it's not the Terminator or Ironman! 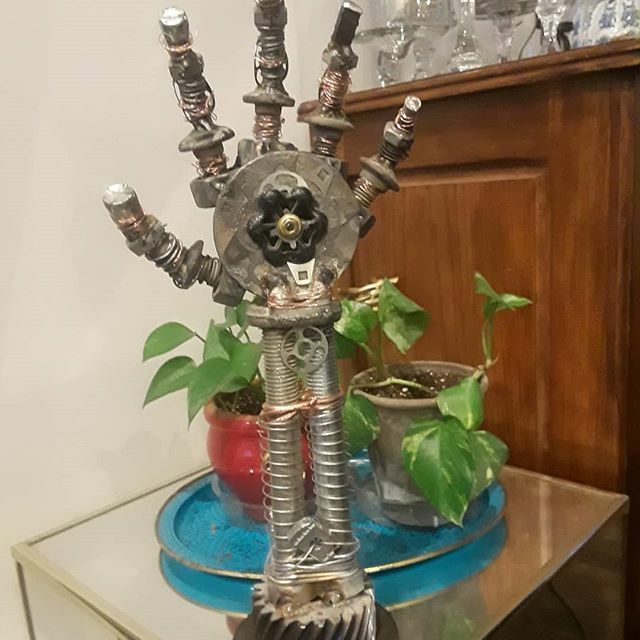 I enjoy using scrap metal to make art. This was modeled after my own hand! 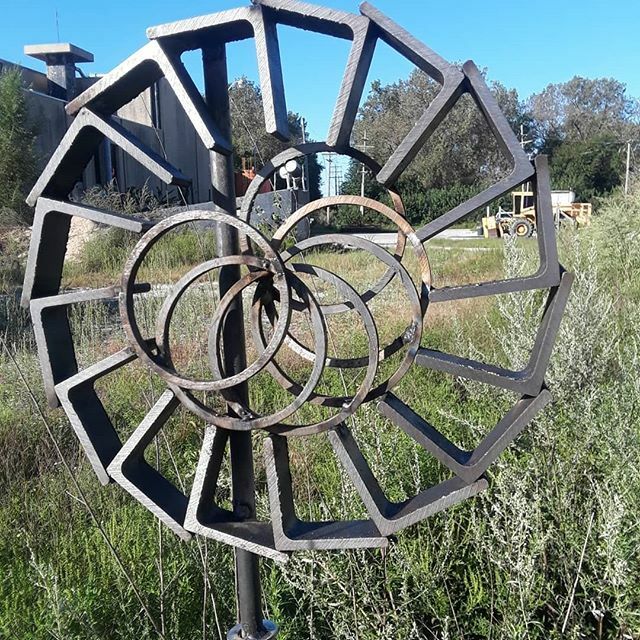 I usually have it in front of my drums on stage when we play out..."
"This sculpture looks great in my yard. A few cut off pieces of angle and pipe then i spent some time realizing my vision. I enjoy working with discards and scrap metal. Im going to leave it out for Chicago winter to bring that rusty color that I enjoy."